Today's post is about my recent work. 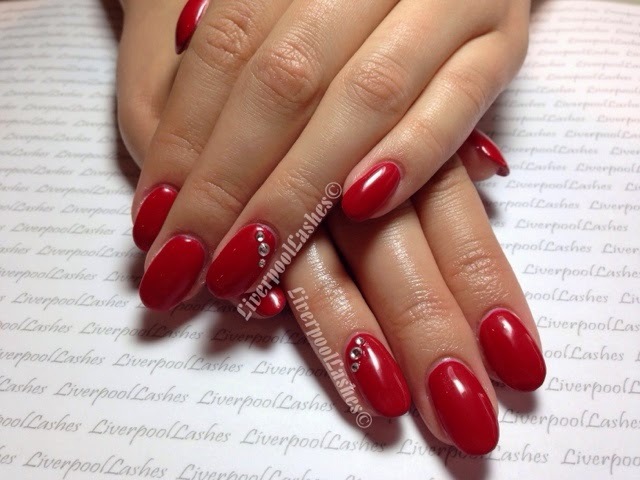 Rachael will often turn up for her appointment and ask for red nails or at least mention that's what she fancies. Somewhere amongst me showing her my new products it seems she is always taken with something I show her but on this appointment she actually decided finally to get her red nails. I applied CND Shellac Wildfire over holographic silver glitter tip enhancements to give that exciting sparkle on the reverse of her nails. 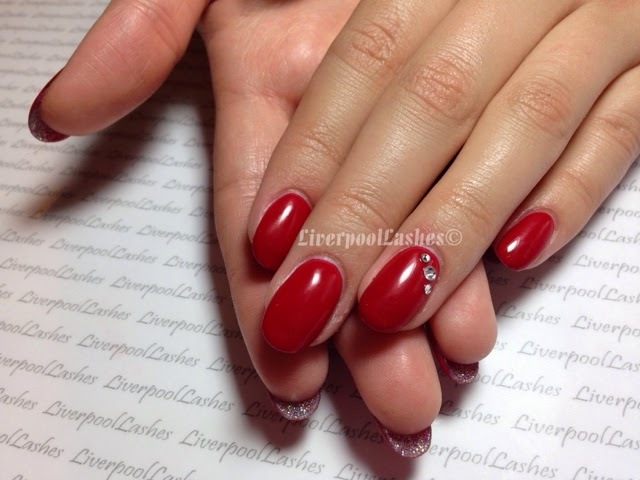 I finished her nails off with three genuine clear Swarovski crystals on each finger where were a varied size.